MIND Active supports local volunteers to improve the lives of older people living in residential care homes and people living with dementia and other debilitating conditions from their own homes mainly in South East Northumberland. Trustees believe in the value of our intervention, volunteering their time and expertise freely to the project. MIND Active does not replace existing activities but complements them, facilitating choice, social interaction, mental stimulation, value, community links - promoting resident satisfaction and an overall sense of well-being. 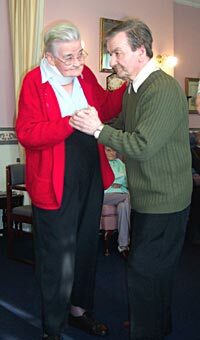 Activities we facilitate include reminiscence work, history talks, sing-along, poetry, karaoke, quizzes, gentle movements, outdoor interests, community interaction, social events. Volunteers participate in at least pairs to support each other and do not assist in personal care.